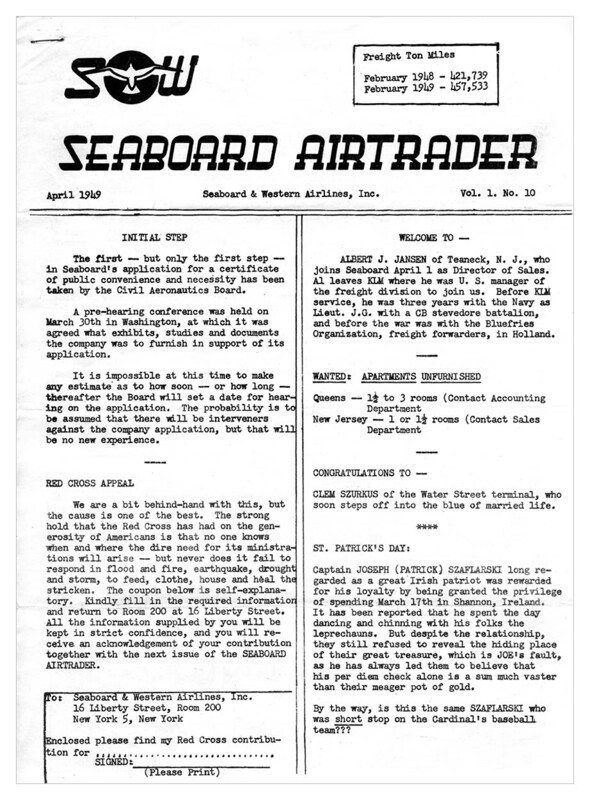 1949 Seaboard & Western newsletter printed on plain paper. 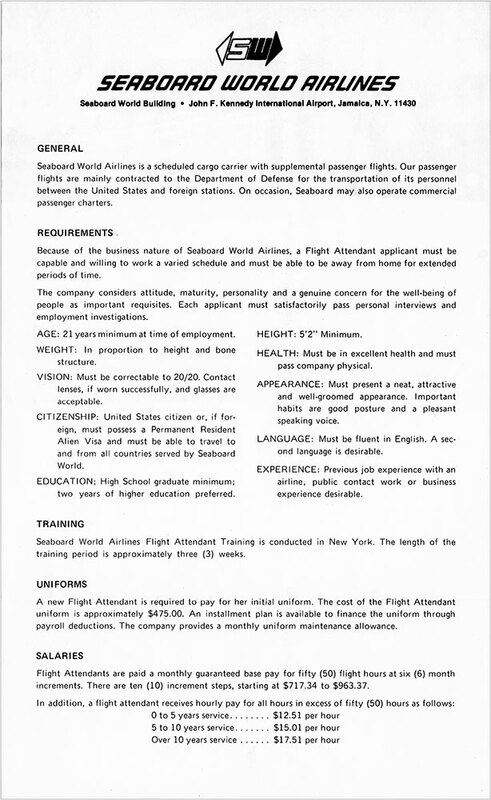 Typically two or three pages stapled together. 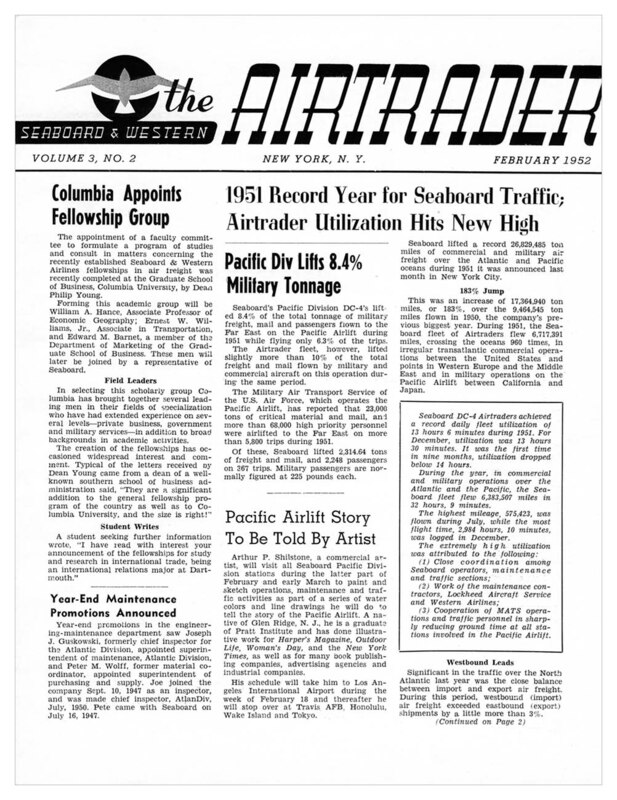 It shows the early corporate address; 16 Liberty Street, NY, NY. 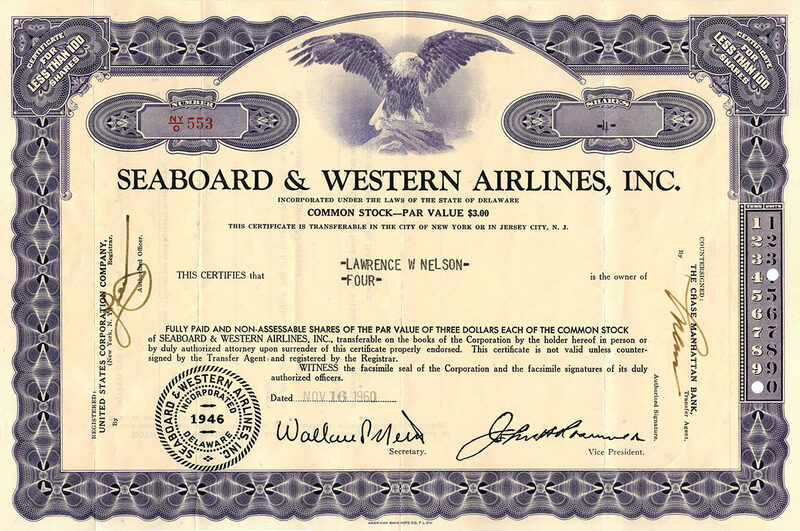 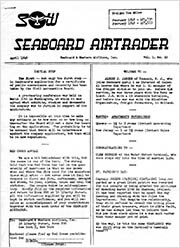 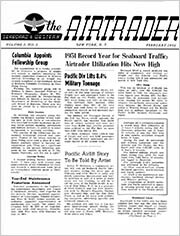 1952 Seaboard & Western newsletter printed on glossy paper. 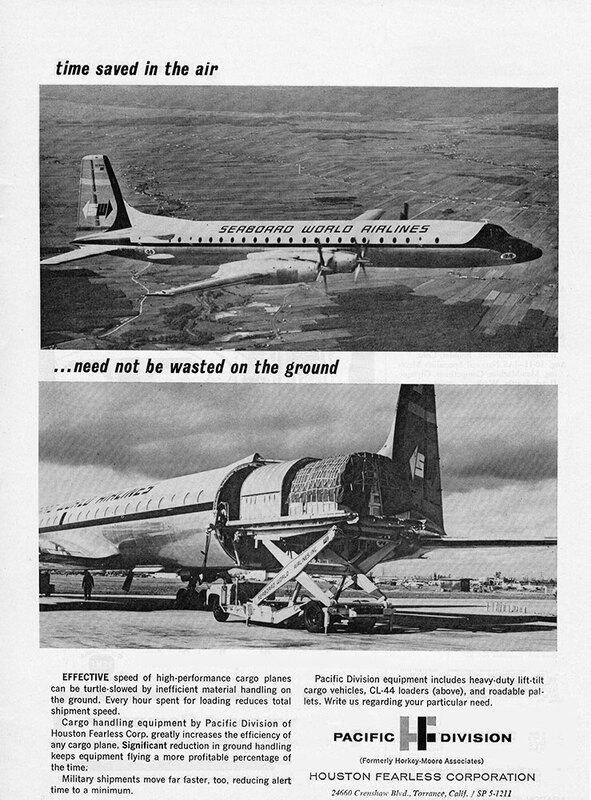 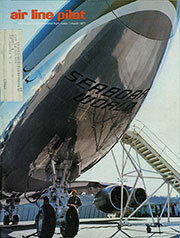 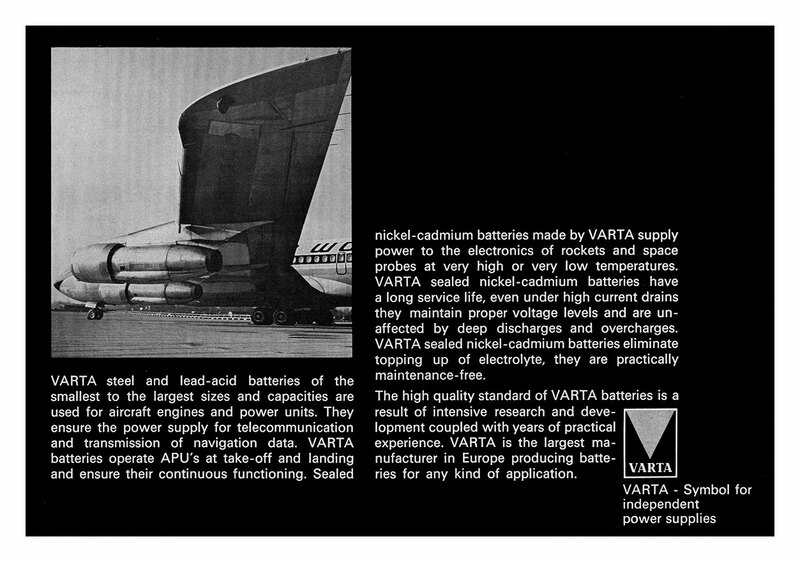 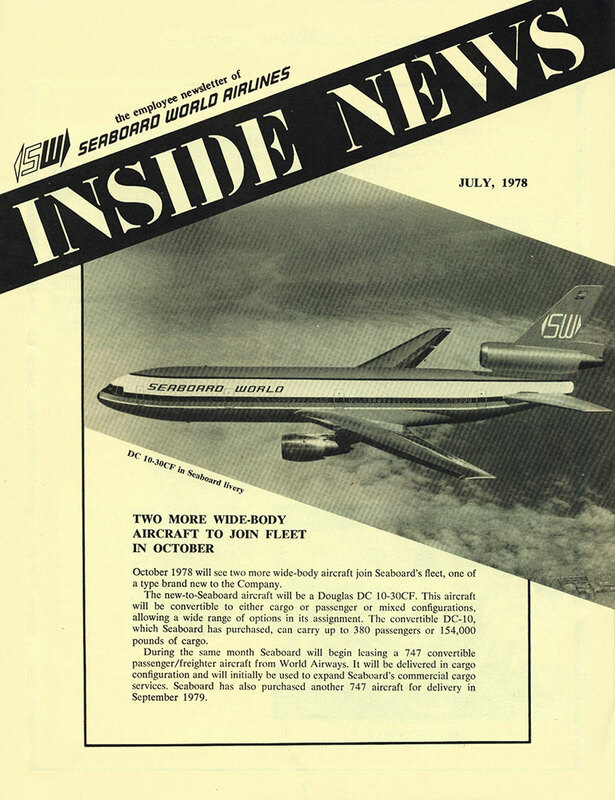 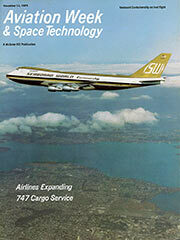 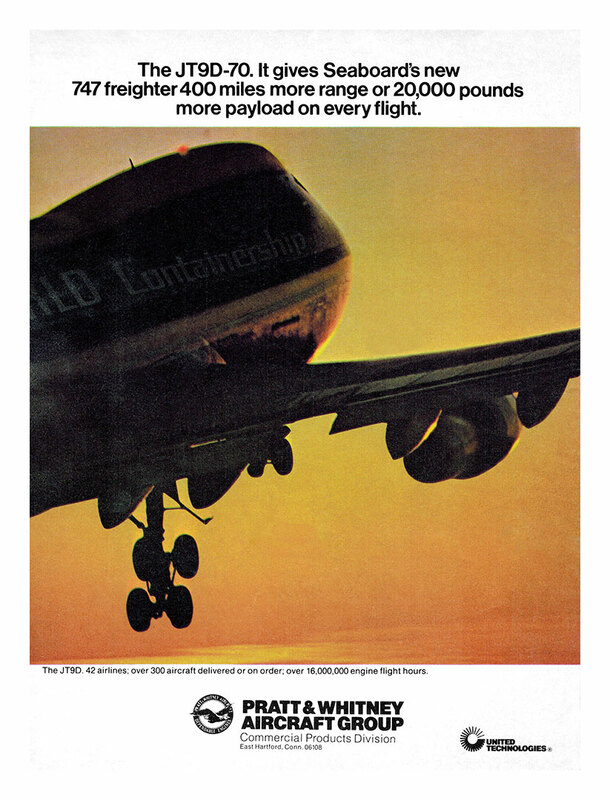 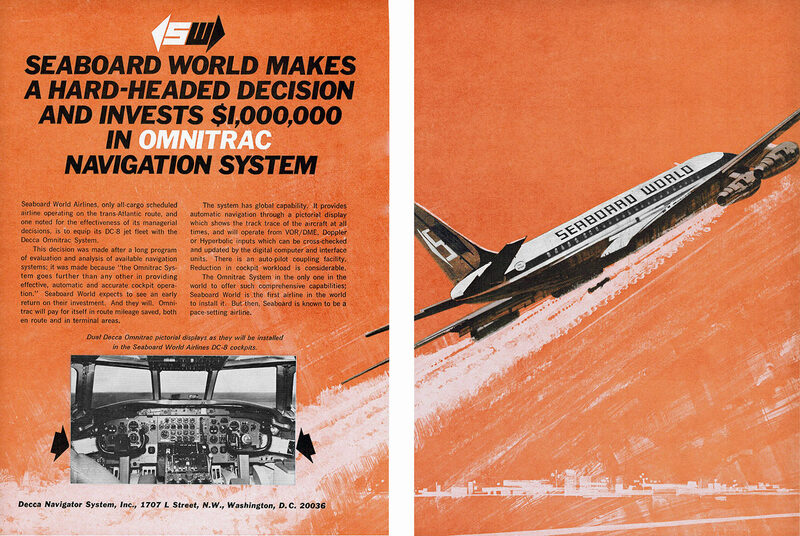 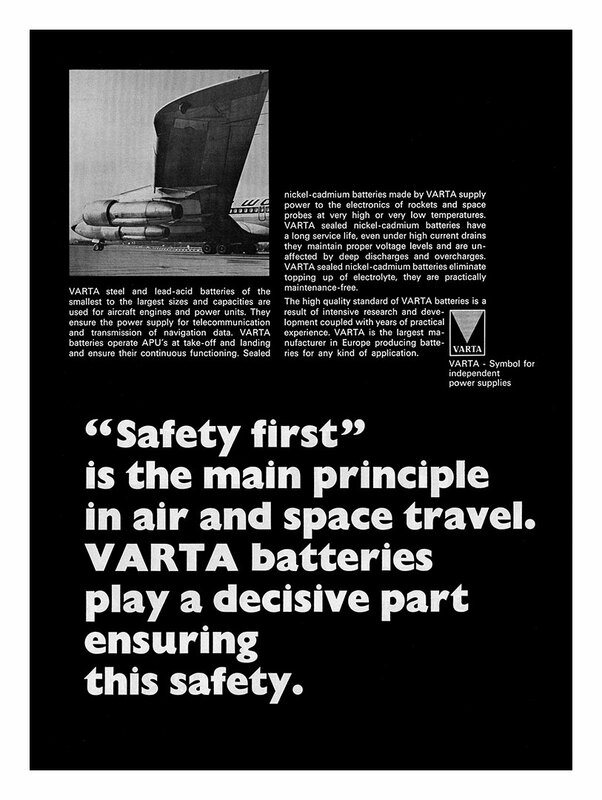 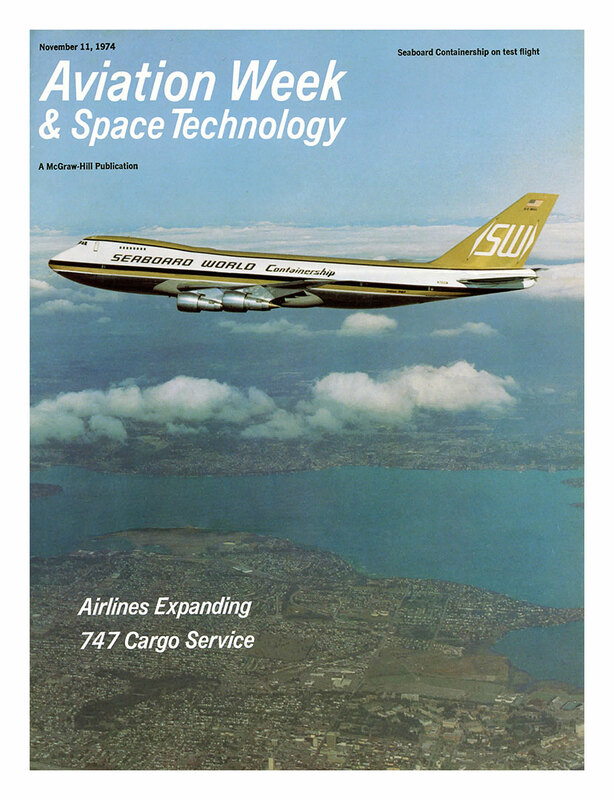 1978 Seaboard World newsletter showing the Douglas DC-10-30CF bought but never operated by Seaboard. 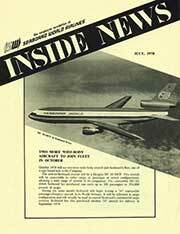 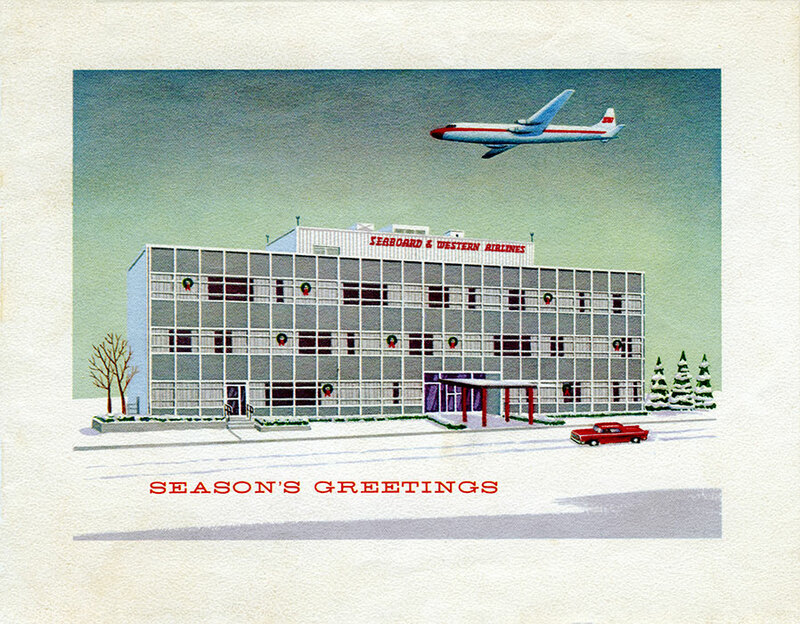 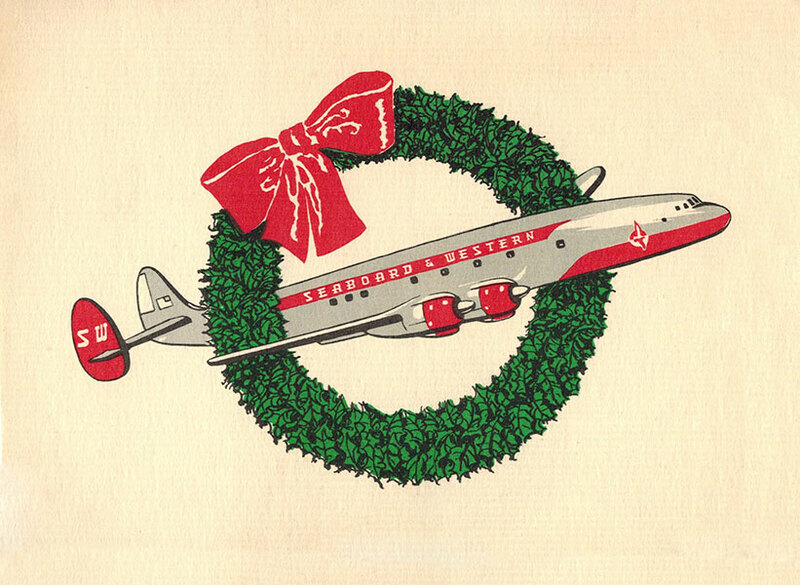 It was originally destined for Overseas National Airways but ONA ceased operations the day before delivery. 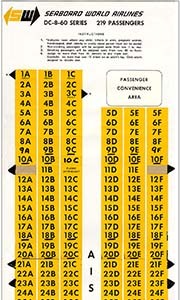 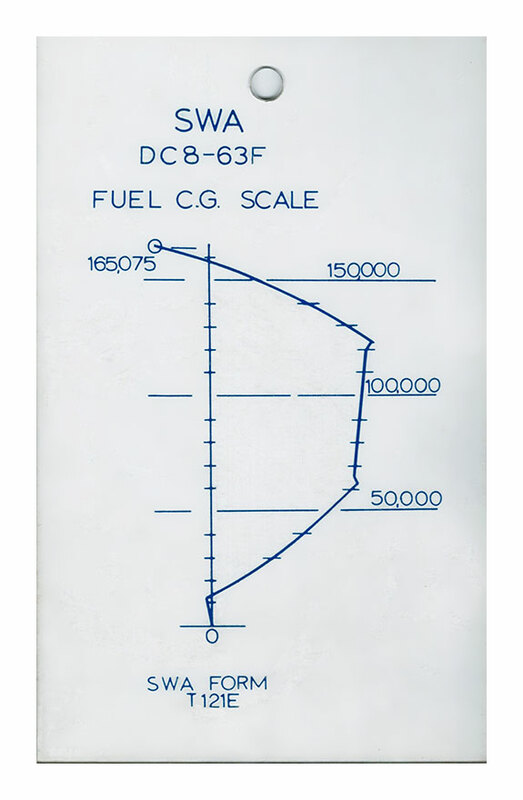 Seating chart for DC-8-60 series aircraft. Although the caption says 219 passengers, this chart shows additional seats for a total of 259 passengers. 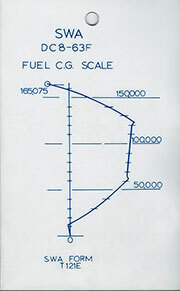 The military's seat-pitch requirement limited the total to 219 passengers. 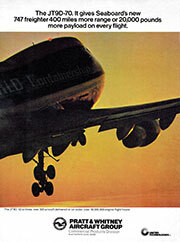 6 ¾" x 5 ¼"
Cover of Air Line Pilot magazine, March, 1977. 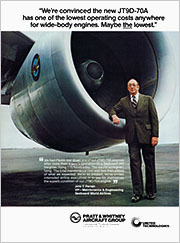 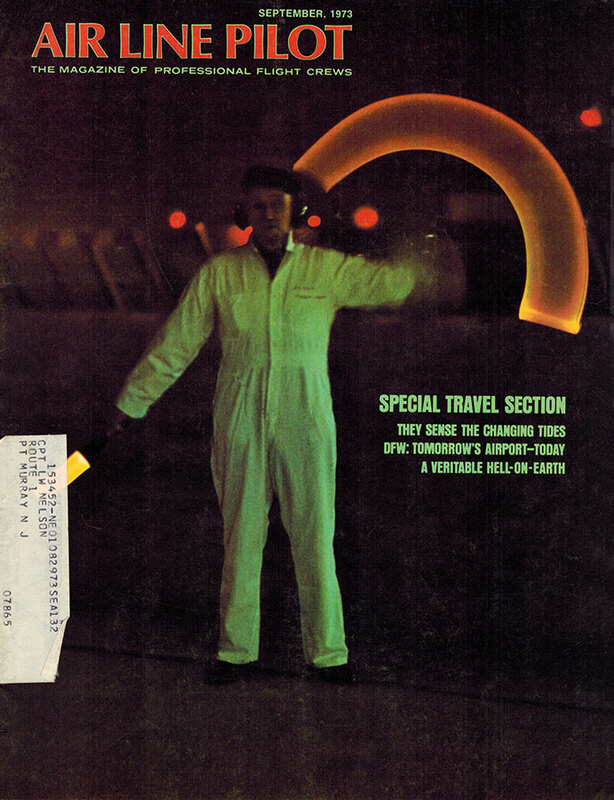 Cover of Air Line Pilot magazine, September 1973. Seaboard mechanic Claude Toudic at Seaboard's Paris Orly. 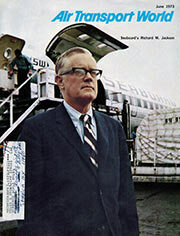 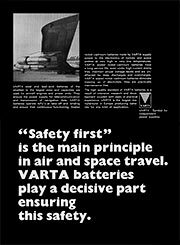 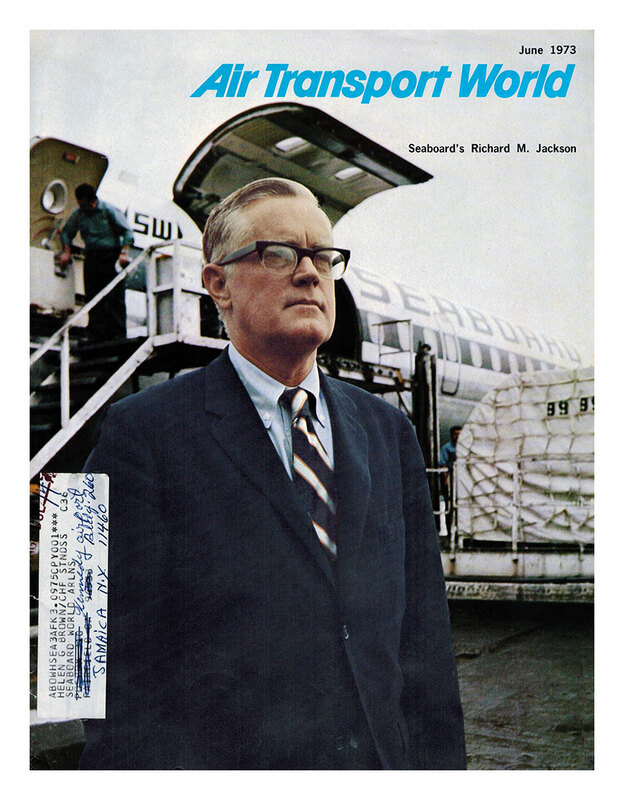 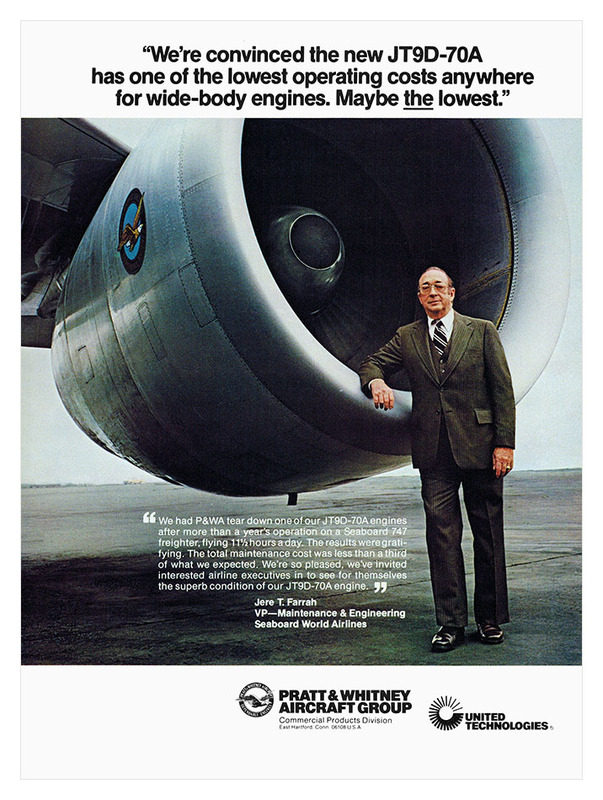 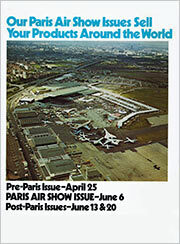 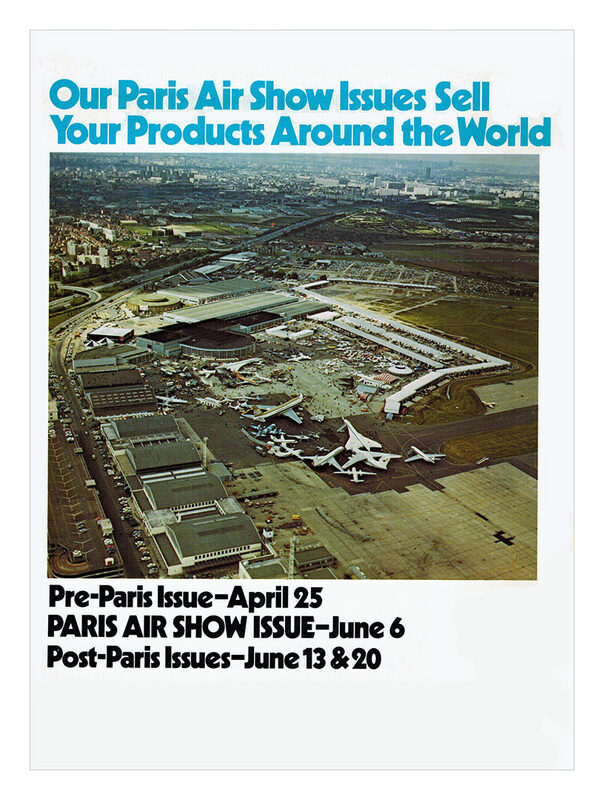 Cover of Air Transport World magazine, June 1973.
unfolded size 8 3/4" x 13 15/16"